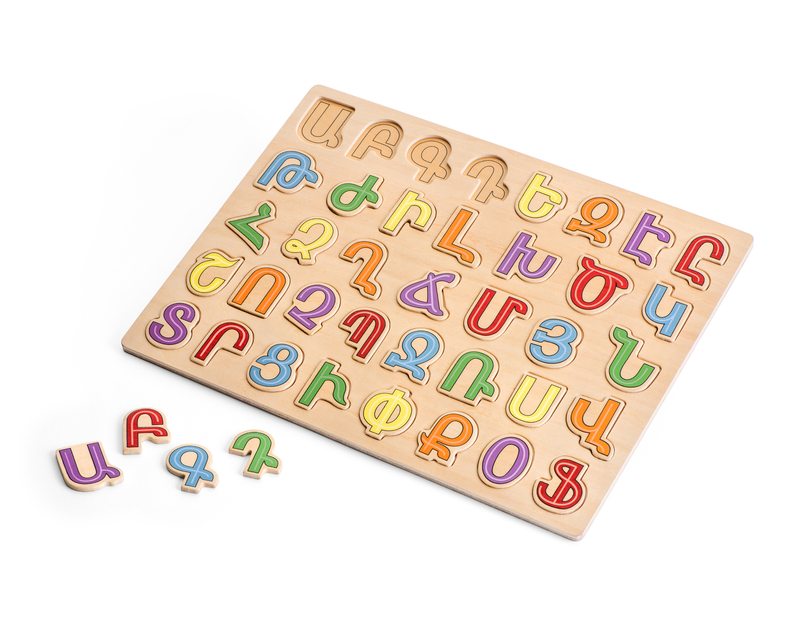 This Armenian alphabet wooden puzzle helps teach children the shapes of all the letters of the Armenian alphabet in a fun and engaging way. Encourage letter identification by practicing with this wooden puzzle. 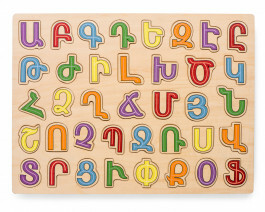 This puzzle comes 38 wooden letters, along with a wooden base with an opening for each letter.